Technical Assistance: Bob Whittaker, DeWitt Burton, Bob Weber. Packaging: Chris Bilheimer, Michael Stipe. 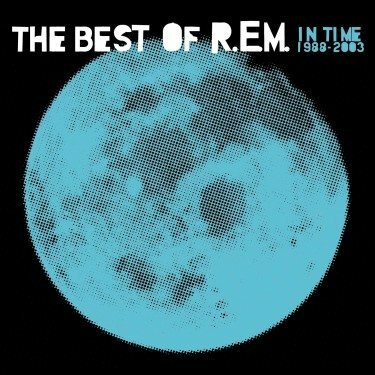 disc one: The Best Of R.E.M. Tracks 8, 13 [Berry, Buck, Mills, Stipe] Produced by Scott Litt & R.E.M. ©1988 Night Garden Music BMI. From the album GREEN 25795-2 P1988 R.E.M./Athens, Ltd.
Track 6 [Berry, Buck, Mills, Stipe] Produced by Scott Litt & R.E.M. ©1991 Night Garden Music BMI. From the album OUT OF TIME 26496-2 P1991 R.E.M./Athens, Ltd. Tracks 1, 12*,16,18 [Berry, Buck, Mills, Stipe] Produced by Scott Litt & R.E.M. ©1992 Night Garden Music BMI. From the album AUTOMATIC FOR THE PEOPLE 45055-2 P1992 R.E.M./Athens, Ltd. *Usage of the Title and Musical Material of The Lion Sleeps Tonight by Permission of Abilene Music, Inc.
Track 4 [Berry, Buck, Mills, Stipe] Produced by Scott Litt & R.E.M. ©1994 Night Garden Music BMI. From the album MONSTER 45740-2 P1994 R.E.M./Athens, Ltd.
NEW ADVENTURES IN HI-FI 46320-2 P1996 R.E.M./Athens, Ltd.
Track 2 [Buck, Mills, Stipe] Produced by Pat McCarthy ©1999 Temporary Music BMI. From Music From The Motion Picture MAN ON THE MOON 47483-2 P1999 R.E.M./Athens, L.L.C. Track 15 [Berry, Buck, Mills, Stipe] Produced by Pat McCarthy & R.E.M. ©2001 Night Garden Music BMI. From the album MUSIC FROM VANILLA SKY 48109-2 P2001 R.E.M./Athens, L.L.C. Track 3 (Berry/Buck/Mills/Stipe) Produced by Pat McCarthy & R.E.M. Recorded by Jamie Candiloro Mixed by Pat McCarthy ©2003 Night Garden Music BMI. P2003 R.E.M./Athens, L.L.C. ©2003 Temporary Music BMI. P2003 R.E.M./Athens, L.L.C. All songs administered by Warner-Tamerlane Publishing Corp. BMI. Scott McCaughey, appearing courtesy of Yep Roc Records. Bill Rieflin, appearing courtesy of FWD. This compilation Mastered by Stephen Marcussen. [Berry, Buck, Mills, Stipe] Produced by Scott Litt & R.E.M. ©1988 Night Garden Music BMI. P1989 R.E.M./Athens, Ltd.
©1988 Night Garden Music BMI. P1990 R.E.M./Athens, Ltd.
©1991 Night Garden Music BMI. P1991 R.E.M./Athens, Ltd.
©1993 Night Garden Music BMI. P1993 R.E.M./Athens, Ltd.
©1991 Night Garden Music BMI. P1992 R.E.M./Athens, Ltd.
©1992 Night Garden Music BMI. P1994 R.E.M./Athens, Ltd.
©1992 Night Garden Music BMI. P1996 R.E.M./Athens, Ltd.
©1994 Night Garden Music BMI. P1997 R.E.M./Athens, Ltd.
©1996 Night Garden Music BMI. P1997 R.E.M./Athens, Ltd.
[Buck, Mills, Stipe] Produced by Pat McCarthy & R.E.M. ©1998 Temporary Music BMI. P1998 R.E.M./Athens, L.L.C. ©2001 Temporary Music BMI. P2001 R.E.M./Athens, L.L.C. [Berry, Buck, Mills, Stipe] ©1987 Night Garden Music BMI . [Berry, Buck, Mills, Stipe] ©1991 Night Garden Music BMI. ©2003 R.E.M./Athens, L.L.C. Made in U.S.A.